Home > Nutritional Advices > Can supplementation of omega-3 fatty acid (Omega-3 fish oil) improve attention deficit or autistic type tendency? Will supplementation of omega-3 fatty acid (Omega-3 fish oil) improve attention deficit or autistic type tendency? Supplementation with omega-3 fatty acids like eicosapentaenoic acid (EPA) and docosahexaenoic acid (DHA) has been found to improve the cognitive and reading behavior in children suffered from attention deficit-hyperactivity disorder. In 2012, the University of Oxford and the University of South Australia has individualy published peer reviewed research papers showing similar outcome. 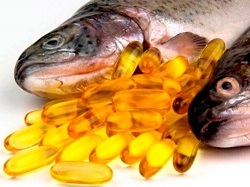 However, there were unsuccessful cases where supplementation with omega-3 fatty acids result in no improvement and the condition in the attentive children were even deteriorated. This was likely due to the excessive exposure towards toxic metals of the children. Toxic metals will oxidize the originally beneficial omega-3 fatty acids with in turn generate harmful oxidized rancid oil inside the body. Therefore, children who suffered from excessive toxic metal burden should only be supplemented with omega-3 fatty acids after detoxification or toxic metal removal. Perhaps some parent may question about supplementation and prefer to feed more fish to their children in order to obtain omega-3 fatty acid from diet. In fact, high quality omega-3 fatty acid supplements are free from contamination by mercury, dioxins and other persistent organic pollutants during manufacture process, on the contrary, large ocean fish like tuna, swordfish or ling fish fillet naturally contain a high level of mercury. The Baptist University of Hong Kong conducted a research on the relationship between hair mercury levels and food consumption in residents from the Pearl River Delta of South China. Hair samples from 91 urban, town and fishing village residents, 37 species of fish, cereal, vegetables, and meat samples were collected. This research showed that both fish and cereal consumption were the two main routes of mercury exposure, smoking was also an important source for daily exposure to mercury. In fact, Australia and U.S. governmental agency has recommended fish intake should be limited to 2-3 times per week in order to balance the risk-health benefit issue, that means the body could absorb omega 3 fish oil without excessive mercury intake.